Adaptogenic herbs almost always fall into the category of herbal aphrodisiacs. 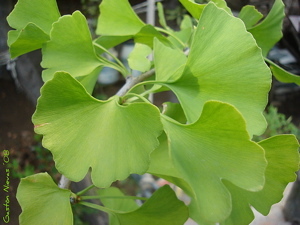 Adaptogenic herbs have multiple functions and are also usually considered herbal aphrodisiacs. Every ancient culture had at least some adaptogenic herbs present in their pharmacopoeia. This is something that is missing and much needed in today's fast paced modern society. Adaptogens are anti-aging herbs that are beneficial to the whole body. They never have one specific action, but will actually balance various bodily functions. To put it simply is that adaptogenic herbs help a person adapt to the stresses of day to day life. Herbal adaptogens make up the most powerful elements of the traditional systems that they originate from. Because of their reputation in these folk herbal systems, they have been the most widely studied of all the medicinal herbs, which has resulted in the most mainstream acceptance of their claimed effects. "Why do people still use the other lower quality herbs? ", you might be asking. As it turns out, adaptogenic herbs are excellent for strengthening the body overall, but since they're not specific to any one task. Other herbs need to be used to address specific symptoms in cases like eliminating parasites, quickly purging toxicity, dealing with acute severe infections and other more advanced states of disease. What needs to be understood is that the large pharmacopoeia of herbs that is contained in these various traditional systems is great for the herbalist who deals with every form of disease, disability and complaint that people come to them with, but it is much too confusing for the layman (people without herbal training but still have a strong desire for creating positive changes in life expectancy for themselves). That being said, adaptogenic herbs should be used with bit of study into their properties first. I hope this site can perhaps be a place for you to begin this study, or as a source of herb information for you if you're already on the path of understanding the world of medicinal herbs. The benefits of herbs known to be adaptogens is that they can restore the body to homeostasis better than any medicine because they target and strengthen the whole body. To achieve states of longevity in humans, it is necessary to preserve and strengthen the aspects of youth that tend to diminish with age. A few of these qualities of youth that tend to diminish with time, but certainly don't have to are: sexual virility, athletic ability/stamina and physical beauty. Adaptogenic herbs are known, and in most cases proven, to affect one or more of these areas. In many cases athletes around the world use herbal adaptogens as safe and legal performance enhancers, much in the same was as they would use food and supplements. For example, it was strongly suspected that cordyceps was the "secret weapon" used by the Chinese Olympic team in recent years that has given them such an edge in high level competition. Most adaptogens are also herbal aphrodisiacs. They affect sexual libido either through increasing blood flow to the genital region (while also preventing the diseases found there) or by balancing the hormones of the endocrine system. When hormones are in balance there is also a tendency for the physical appearance to remain vibrant and youthful simply because the body still wishes to be attractive to fulfill its high libido! 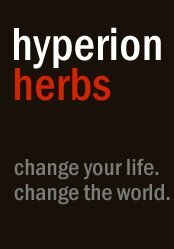 Hyperion Herbs offers 8+:1 concentrated powder extracts (8+x more potent than the whole herb) which can be mixed directly into smoothies, elixirs, other drinks and/or mixed into food. These Chinese tonic herb extracts dissolve directly into liquids! Longevity Power offers herbal extract formulas which offers a broader spectrum of effects than solo herbs do, but at the cost of less impact from any one particular tonic herb. These products can be mixed directly into smoothies, elixirs, other drinks and/or mixed into food. These fertility herbs will often also do things like reverse gray hairs back to their original colour and even cause bald patches of hair to return with new growth! Many skeptics who don't achieve results with adaptogenic herbs question their effectiveness because they have either not made a complete change of lifestyle along with taking the herbal aphrodisiacs. They might also be taking poor quality herbs for too short of a period of time. Herbal adaptogens have long range effects, meaning that they should be taken daily for long periods of time for some of their more valued transformational properties to occur. The benefits of herbs like these are apparent after months and even years of use. On the other hand, some effects, like the energy boosting qualities of ginseng, can be felt immediately! The following six categories of adaptogenic herbs cover the major "players" from various regions around the globe. However, the last two categories of anti-aging herbs for longevity are not actually region specific and can be found in multiple regions around the world. 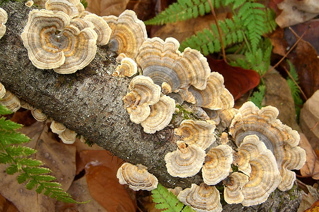 The "medicinal mushrooms" category are the most powerful immune regulating herbs in the world and should not be overlooked. The herbal aphrodisiacs in the "Spices" category are technically not adaptogens but can be used either dried or fresh mixed in with adaptogenic herbs to help them be better assimilated by the body. They are generally of a warming variety since this helps stimulate digestion. They are also add flavour and medicinal qualities when added to regular food and live superfoods. 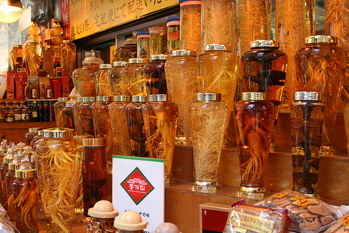 All of these adaptogenic herbs are considered "tonic" in the Chinese sense. The Chinese definition of a tonic herb is anything that you can consume on a daily basis over the long term without negative side effects (while being kept within a reasonable dosage). Tonic herbal adaptogens are non-specific because they balance and tone (quite different from boosting or suppressing) a wide range of different biological functions all at once. They are often herbal aphrodisiacs as well! My friend Elwin Robinson makes Taoist tonic herbal tea blends and he has shown this "overall balancing" principle with his amazing lineup of products. If for example you compare the tonic benefits of reishi mushroom to a non-tonic herb like garlic (when garlic is used in high doses), you'll quickly find that reishi is an immunomodulator, which is a substance that regulates the immune system, either increasing or decreasing it's power. This is important since an overactive immune system can accidentally attack healthy human tissue, whereas garlic actually boosts the immune system and shouldn't be used consecutively for too long as it will lose it's effectiveness, become toxic or cause the immune system to become overreactive. Side effects can occur with adaptogenic herbs in cases when a person who is already taking medication takes them without first consulting their physician. Since these anti-aging herbs will often result in medications no longer being necessary, if a person continues to use toxic drugs when the adaptogenic herbs have corrected their body's malfunction, it can be damaging to them (although this is the medication doing the damage not the herb). When taking adaptogenic herbs you have to drop the old paradigm of thinking that you take things to target a specific symptom in your body. Simply put, you need to think of herbal adaptogens as specialized foods. You start to use them in a similar way that you would use spices or a garnish on a meal. You add these anti-aging herbs into your diet for longevity knowing that they have a broad range of effects. That being said, there are reasons why you would use specific adaptogenic herbs. For example Chinese and Korean ginseng have a very yang (warming, energizing, expanding) quality and you would use them at a time when you wanted to enhance those qualities in yourself, like during colder weather or before playing a competitive sport. American ginseng on the other hand is much more yin (cooling, calming and building), which is ideal for hot weather or after an illness that caused you to become weaker and in need of a restorative herb. Other ways of taking herbal adaptogens, other than in your food, is in pill form, as organic tinctures or brewed as a tea. Those eating raw food diets are sometimes put off by the idea of drinking alcohol (even in very small amounts from organic tinctures) or boiling herbs which makes them no longer raw. My answer to that is that perhaps those people need to have look at why they're eating raw living food in the first place. If it's for any reason but health and longevity, then it's quite likely that they are caught up in eating raw living food as a fad. For different ways to work with anti-aging herbs check out this page on this great site: Herbal Tea Alchemy. As it turns out, small amounts of alcohol on a daily basis is not harmful to the body and has even been shown be one of the most consistent factors of longevity in the various blue zone cultures around the world. The alcohol in organic tinctures will actually increase the absorption of the adaptogenic herbs which further increases the alcohol's benefits. As for teas made from all natural herbs, in the majority of cases many of the properties in these substances can only be accessed through boiling them for certain periods of time (especially the roots, barks and stems of certain plants). The properties that are desired to be extracted from the adaptogenic herbs are not as heat sensitive as the enzymes, proteins and many of the other nutrients that are destroyed by heat in the case of food. The surface tension of water is decreased from 72 dynes at room temperature to 60 dynes when it is boiled or simmered for making tea. 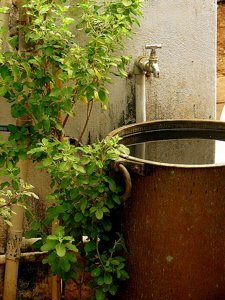 This results in greater penetration of the water into the herb and helps it release its medicinal properties. Unlike cooked food, there are little to no toxins in herbal tea since any damaged properties of the adaptogenic herbs get thrown out when you dispose of the "pulp" after it's finished decocting. It should be noted that spring water is the best type of water to use when making your tea. One fun and effective way to enjoy the benefits of herbs is to use their tea as a base for super food smoothies and elixirs. Having a basic understanding of traditional energetics from a specific system can help you choose the right herbal adaptogens to use. I suggest using whatever system of classification you are most familiar with and apply it to all of the above mentioned adaptogenic herbs. For sake of avoiding confusion, through these pages I stick to using the Chinese system of classification since it is the simplest to understand and is easily applied to medicinal herbs from other systems. If you have no prior knowledge in herb information, I would suggest doing a bit of study on Chinese herbalism to get a foundational understanding of what some of the terms mean. Nonetheless here is a very brief overview of how various adaptogenic herbs can affect the body. There are three main energy types in the body that Chinese herbalism focuses on. These are Jing, Qi and Shen and different herbs will build or focus in on one of these specific energies. Jing is literally and figuratively the sexual fluids of the body. This is the foundational (and most important to preserve for human longevity) energy that is understood scientifically to be most concentrated in the hormones of youth (testosterone, estrogen, human growth hormone etc). If you take the metaphor of a candle, Jing is like its wax. Once the wax is used up (much in the way that stress uses up human growth hormone)... the flame goes out. 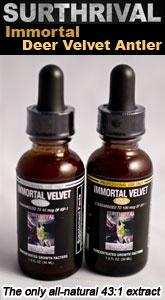 Logically, herbal aphrodisiacs increase Jing energy. Qi is likened to the flame of the candle. It is the life force energy that gives you the power to do everything that you do. When Qi is weak then you are weak and susceptible to disease. When Jing is strong then this provides a foundation for Qi to be strong and consistent with less ups and downs. In the candle analogy, we can trim the wick (balance the Qi) so less wax (Jing) is used up unnecessarily resulting in less sputtering and flickering of the candle flame. We want a steady, strong and reliable flame. Shen is spiritual energy. It is like the light and heat given of by the candle flame. It is the reason why we have a candle lit in the first place! Shen is the satisfaction and contentment with life and being part of this great existence. When Jing and Qi aren't strong and stable enough to support Shen, then it fails and we can become lost in life and give up on our goals, dreams, hopes and desires. Adaptogenic herbs can help bring all of these energies back into balance to establish true direction and purpose in your life. Although it has been said that you can take adaptogenic herbs on a daily basis for long periods of time, most people find that taking short breaks at regular intervals prevents the body from becoming used to a specific herbal adaptogen. What I personally do is for every 3-4 weeks that I am on an herb, I will usually take a week off of it. When I return to taking an herb, it's "new" again and my body is more efficient at absorbing it. You will need to use your intuition to discern when and how often you need to take breaks or rotate your herbs. The benefits of anti-aging herbs (as well as live superfoods) are maximized this way! Click to return from "Adaptogenic Herbs" to the homepage.